When researching mobile broadband deals it is important to consider the specifics of the deals on offer such as whether they are monthly contracts, pay as you go, what download allowances you get, is the dongle free, etc. However, equally important, if not more so, is the mobile broadband network that you opt to receive your broadband from. All of the major networks which offer mobile broadband in the UK; Vodafone, 3, Orange, o2 and T-Mobile have excellent networks as a whole, but there can be gaps in service depending on where you are located in the country. For this reason it is extremely important that you use a broadband signal coverage checker prior to ordering a mobile broadband package. Each mobile broadband network offers an online tool that will allow you to check the 3G signal required to run mobile broadband in your area by entering a postcode into the online tool and the graphic that is generated on the page will let you know whether the mobile broadband signal will be strong in your chosen area. It would be advisable to check the signal for all the networks and use the strength of signal in your area as an important factor in your purchase decision making. The speed with which you will receive your mobile broadband will be limited only by the hardware you are using (usually the USB modem dongle that you plug into your computer) or the strength of the 3G signal you are receiving from your mobile broadband provider. Signal strength for mobile broadband differs from mobile phone signals in that even if you receive a poor mobile phone signal you can usually continue your phone call without interruption, however, a poor 3G signal will impact the quality of your broadband browsing experience significantly so it is very important to select the provider with one of the strongest signals possible. 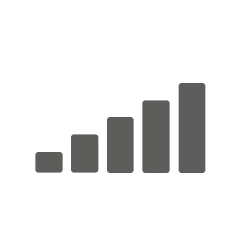 Remember that one of the great benefits to having mobile broadband is that you can connect to the Internet whilst you are out and about, so it is worth checking the signal you would get at places that you would regularly take your laptop such as your workplace, favourite coffee shops, etc. Each online mobile broadband network offers an online tool which will allow you to check the strength of mobile broadband signal in your area although each tool operates in subtly different ways. See below for our guide on how to use each of the 3G coverage checker tools. The online mobile broadband signal checker tool from Vodafone shows both indoor and outdoor coverage for an area by postcode or place name and even shows future planned coverage. To use the tool enter the desired postcode or place name to be checked in the box provided and click “check coverage”. A map of the area will then be shown on the screen with options showing the 3G and mobile broadband coverage and also the standard coverage. Depending on the strength of the signal in the area a colour overlay corresponding to the signal strength will be laid over the map. To check the future coverage in the area click the small radio button (hover over the round dot and click to select). Vodafone offers theoretically the fastest mobile broadband in the UK with claimed speeds of up to 14.4Mb.It should be noted that this speed could only be obtained in a very small area of the country, so for the vast majority of users, Vodafone offers a 7.2Mb service. T-Mobile only shows the outdoor signal strength of their mobile broadband coverage, but they do allow you to select 3 postcodes or place names at the same time. They categorise them as live, work and play. To check T-Mobile coverage you should enter the postcode or place name into the box provided and when finished click on the “check coverage” button and then scroll down the page. A map of the area will then be shown with a colour overlay on the map corresponding to the strength of the signal for 2G services (voice, text and picture messaging). To see the strength of 3G coverage (video and high speed Internet), click on the 3G link directly to the right of the 2G link. T-Mobile covers approximately 98% of the population with up to 7.2Mb speeds. Since the recent merger with Orange, they claim to have the largest network in the UK. You can use the o2 mobile broadband coverage checker to search by current O2 coverage, future O2 coverage or HSDPA O2 coverage criteria (HSDPA is an advanced form of 3G mobile broadband technology) and geographically you can search by postcode, town/city, motorway junction or sounds like. To use the tool click the button HSDPA O2 coverage, then enter either the postcode, town/city, motorway junction or sounds like into the box provided then click “search”. The standard map will then appear with a colour overlay telling you the strength of the signal in the areas on the map displayed. O2 covers approximately 80% of the UK population on their mobile broadband network and as a bonus offer the use of 7,500 free WiFi hotspots around the country when one of their mobile broadband products are ordered. Orange offer a simple search box on their online mobile coverage tool which allows you to compare up to 6 search criteria based on place name or postcode. To use the tool you need to enter your postcode or place name and then click “search”. The map with the standard colour overlay corresponding to signal strength will then be displayed. There are 4 different types of signal strength analysed. These are voice and text (based on 2G technology), email and browsing (based on 2G technology), browsing and downloading (based on 3G technology) and hi-speed browsing (based on 3G+ / HSPA technology). Check the colours that correspond to the type of signal you would require most. For mobile broadband checks you would want to select the 3G and HSPA options. Orange covers approximately 98% of the population with up to 7.2Mb speeds. Since the recent merger with T-Mobile, they claim to have the largest network in the UK. The 3 online signal checker tool allows you to search for mobile broadband coverage or standard mobile phone signal coverage by searching on a postcode or a place name (up to 3 at a time). To use the tool enter your postcode or place name in the box provided and then select that you want to check mobile broadband coverage in your area then click “search”. A map of the area is then show with colour overlays corresponding to the indoor and outdoor coverage. The 3 network offer a theoretical top speed of 7.2Mb and covers in excess of 90% of the population on their 3G network. Why Is There Poor Mobile Broadband Reception In My Area? There are a number of reasons why you may not be able to get a strong 3G mobile broadband signal in your area. Different modem devices (and networks) can run at differing maximum speeds so check the theoretical maximum throughput you could receive against what you are actually receiving. Also, 3G signals can be reduced through the walls of a house so it maybe a case that you need to walk around the home to find the best signal you can if the signal is weak in your usual sitting position. One of the largest factors that will contribute to poor mobile broadband signal is the distance you are from the mobile broadband operator’s phone mast. The further you are from your respective networks’ mast, the higher the likelihood of a poor signal. Some of the networks actually share masts so that they can offer a more comprehensive UK-wide service. Ofcom have an interactive map that shows the locations of the various masts around the country which you can use to find the closest network mast to your location.